Titled 24 Japan, it’s set for broadcast during the 2020 fiscal year. The drama will be a remake of season 1 but adapted for its new setting. Livedoor is reporting that TV Asahi is handling the remake, which will follow the same real-time format of the American series. TV Asahi negotiated with 20th Century Fox for around two-years, surprising the original show’s creators and actors with its desire to do a version set in Japan during the 2020s. The cast has yet to be announced. 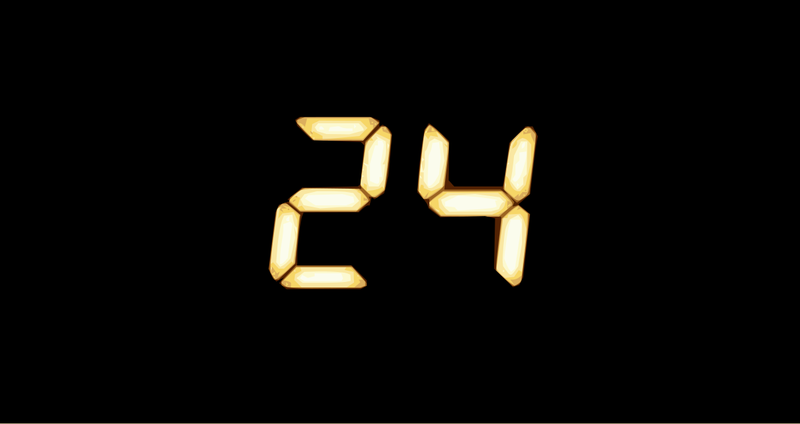 When 24 was first released subtitled in Japan on DVD, it had a cult following with folks rushing to video shops like Tsutaya as soon as new discs were released. A Japanese comedian named Manabu Kishi even made a name for himself doing a Japanese-language impersonation of Jack Bauer. Don’t expect the remake to be silly like this, as Livedoor says the show is aiming for realism. As mentioned above, 24 Japan’s plotline will be based on season 1's but modified to reflect the country’s culture and suit governmental organizations. For example, in the remake, terrorists will target Japan’s first female prime minister.